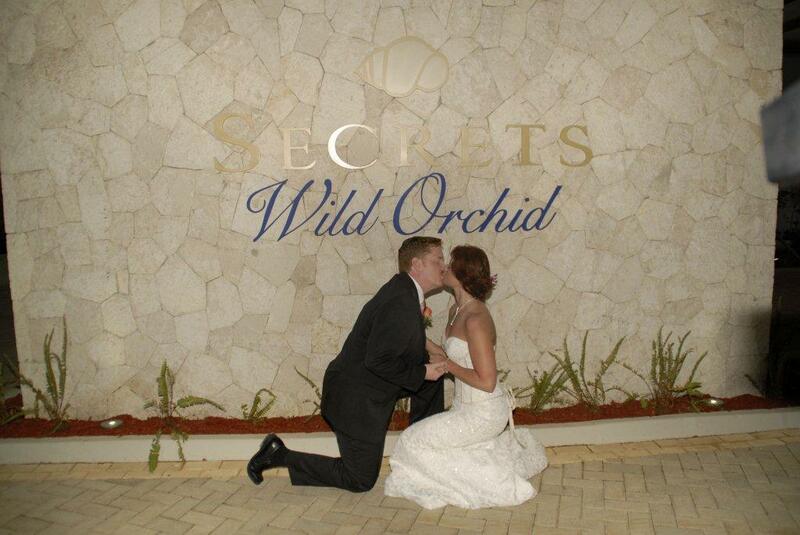 We were lucky enough to receive a wonderful letter to the staff of Secrets Wild Orchid from James and Gabrielle, a couple who recently tied the knot at the resort. With the guests’ permission, we thought it would be nice to publish the letter in its entirety here, along with a few photos. Gabrielle and I want to thank everyone who made our time at Secrets Wild Orchids such an unbelievable experience! We cannot praise enough your entire staff’s dedication to our comfort and enjoyment! The pride and passion your staff takes in what they do makes your resort extraordinary! It’s not often when you leave a resort you feel you are leaving friends behind. But this is how we feel about the incredible people whom we met at Secrets. We want to start with Monica Cordova, our wedding coordinator. From Monica’s first e-mail we knew we could entrust our wedding arrangements. Monica’s attention to detail is amazing. We were so impressed with Monica we left all of the planning up to her. We could not have had a more perfect wedding – it was a dream come true! We wanted an incredible wedding by the sea; we got that and more! From the decorating of the gazebo, to the beautiful flowers, to organizing Gabrielle’s hair and makeup, to the cake, to the incredible musicians and photographers, to our romantic dinner by the sea–every detail was perfect! It felt like our best friend was making sure our wedding was exactly as we wanted it to be. Even her choice of minister, Terrence Gordon, was a perfect fit for us. When we first met Conroy Salmon he had the task of getting guests through some last minute adjustments. He never stopped smiling and went to every level to ensure his guests were comfortable. It was such a pleasure to be greeted by Billy Love upon arriving at your fabulous resort. Billy’s smile and style made us instant friends. He ensured our complete Secrets experience was relaxed from the get go – he took care of our luggage while we could enjoy the resorts’ hospitality. No mention of Billy would be complete without mentioning the great gift he gave us for our wedding – a simple serenade that will be a memory we will always cherish. We want to thank Matthew who worked so hard with so many others to make sure our rooms were just what we needed and with a little creative ingenuity got everything and more. During this process, we met Devon. No matter what time of day, it always seemed to us Devon was always there to ensure we had everything we needed. His work ethic and drive had us question whether he had ownership in the resort because you could see he was committed to the resorts success. He even went the extra mile and gave us a special gift to complete our wedding memories. No trip to Secrets would be complete without Dionne. We met her and her colleagues by the poolside restaurant/bar giving out complimentary back and neck massages to any volunteering guests (I was a repeat customer). Dionne too went out of her way by staying past her shift to give us those much needed massages. It’s a rarity today that someone would volunteer time out of his or her personal time to do this. Coupled with the great menu items whether it be in your restaurants or the lounge area of the preferred club, our dinning experience was greatly enhanced by your staff’s professionalism, courtesy and many smiles. Staff like Agri (our private butler for our wedding dinner), Sonia (Oceana restaurant) or Derval who served us our first rum punch, to Melanie and Candy-Lee, or Vanessa and Isaac (entertainment crew) or Dexter, Natania, Lisa and Sophia (concierge) it’s obvious they all take pride in their roles to ensuring your guests are happy and comfortable. It is clear to us, your choice in staff reflect the vision Secrets sees for the ultimate holiday experience, as it is typified by its role models Albert Ocasio, Delwin Rochester, Rod Gahr and Emilio Huhn, the management team. Being a part of the opening of a new resort was an incredible experience. Watching the day-by-day, hour-by-hour transformations unfold was like watching your favorite team become championship material. We cannot wait to come back next year and celebrate our anniversary with our new friends and once again enjoy the Secrets experience! 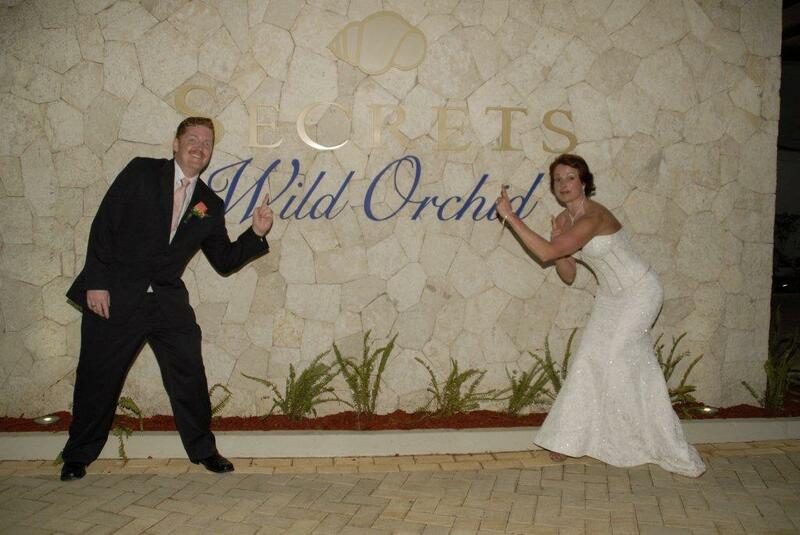 This entry was posted in Secrets Wild Orchid and tagged Destination Weddings. Bookmark the permalink.